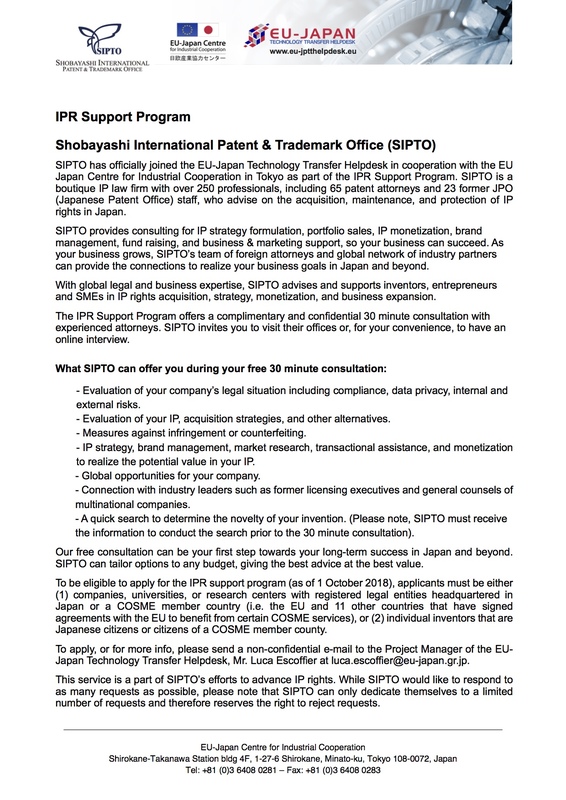 Starting May 2019,one of the fastest growing IP firms in Japan, Shobayashi International Patent & Trademark Office (“SIPTO”), will join the IPR Support Program with the EU-Japan Technology Transfer Helpdesk. Any other legal or business questions that you may have. A consultation with SIPTO is the first step towards long term success and SIPTO can tailor options to your budget, giving you the best advice at the best value. For more info, please download SIPTO’s flyer attached.